History, before it was learned in school or written in books, was lived by the inhabitants. This memory is sometimes still alive and the encounter with a Greeter can, if you take the time, reveal it. These greeters are personally invested because their village or family has been affected. 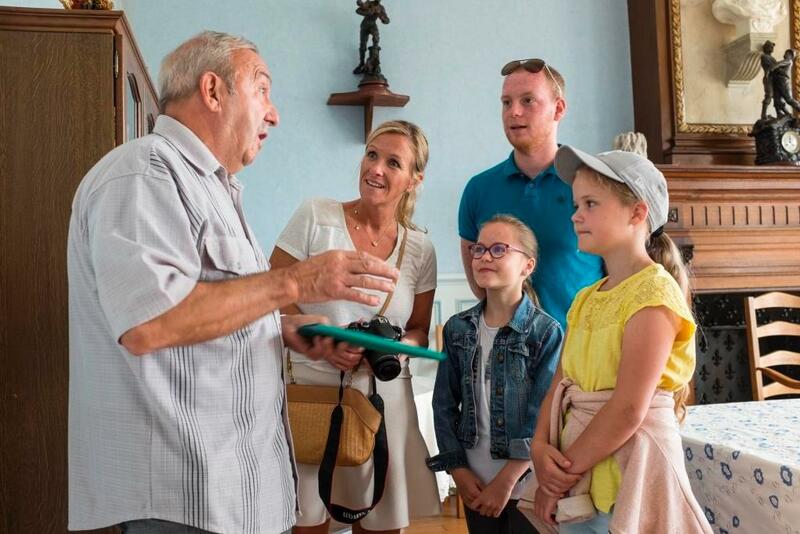 In the department of Aisne, on the occasion of the centenary of the Great War 14-18, five greeters took the step of becoming ” memory passer “ to share their passion, their emotions and transmit the local memory of these events. This is the case, for example, of Jean-Pierre, who is hosting a historic and very moving march in his village of Beaurevoir. Fascinated by the history of his ancestors, this retired naval infantry and national gendarmerie soldier transmits the memory of the Great War, collected through the many objects that marked the daily life of the time, and the testimony of veterans who have now passed away. Jean-Pierre also guides and advises visitors on essential places, good addresses and unusual discoveries in the region. Gérard, on the other hand, traces the life of the inhabitants of the village of Homblières which was occupied throughout the Great War. In Farniers, we can still notice the architectural style of the buildings, typical of reconstruction. American visitors are often surprised to discover all this was possible thanks to a donation from Carnegie (discover this walk). Serge, retired history teacher is very attached to his village of Neusssargues (Cantal). He wanted his neighbours, young and old, to be able to find the path of one of their own during the Great War of 1914-1918. ” As part of the centenary of the Great War, it seemed appropriate to me to celebrate the memory of all Neussargue people who participated in this terrible conflict”. He therefore published a book and developed an exhibition entitled “They were all heroes…”. This exhibition presents a census of the Neussarguais soldiers, sometimes forgotten, who fought for France during the 14-18 war. For the curious who would like to go there, the exhibition will be on display throughout November in the service room on the station road. André, another Greeter from Cantal shares with passing visitors the personal story of his grandfather, Louis Cyprien “hairy from the 339th RI”, who died in the Great War. He tells the story of his regiment, based in Aurillac, composed of Cantalians and soldiers from other regions but also anecdotes about monuments to the dead (construction, financing, lists of these “Dead for France” appearing there with their mistakes or omissions…). Listen to his interview in clicking here.